Akshay Kumar is a rich, Indian celebrity with a lot of wealth and property. The martial artist, producer and actor was actually born Rajiv Hari Om Bhatia but is more popularly known by his stage name today. Akshay Kumar’s net worth is a whopping $150 million (101,519,92500 Rupees), having appeared in more than a hundred Hindi movies. He started his career in the 90’s and was popular in many action film hits such as the Khiladi Series, Mohra, Waqt Hamara Hai and Suhaag. Aside from the action films, he has featured in a number of comics, drama and romance productions where he has had mixed successes over the span of his active acting years. For instance, during the period between 2009 and 2011, Kumar had significantly stagnated in his career as some of the films he acted in did not do well. However, he had massive comeback campaigns with the releases of Rowdy Rathore and Housefull 2. Even as recently as 2014, he has had his name mentioned in the lines of successful Bollywood hits. OMG, Holiday and Special 26 are amongst the movies that he has starred in which have grossed highly in the past recent years. 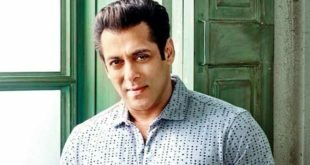 In 2013, it was asserted that collectively, the films he has starred in had amassed a massive net of $300 million, which was a record for an Indian actor. He has also acted in other successful movies such as OMG (2012), Holiday (2014), Gabbar Is Back (2015), Airlift (2016), Housefull 3 (2016), Rustom (2016), Naam Shabana (2017), Pad Man (2018), and Housefull 4 (2019). He is known for the sometimes dangerous stunts which he pulls in his films, perhaps because of the fact that he is a martial artist. He has even been labelled India’s Jackie Chan for these antics. As earlier mentioned, his total net worth is contributed to both by his work as a producer and an actor. 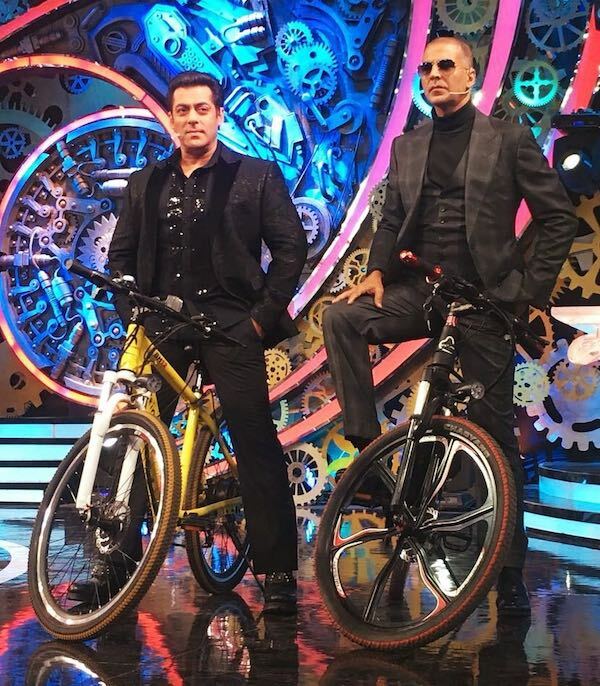 Akshay established his own production company called the Hari Om Entertainment Company in 2009 after having hosted Fear Factor – Khatron KeKhiladi. He opened a second production company in 2012 and launched Dare to Dance, a reality television show in 2014. 2015 was a particularly good year for Akshay as he featured amongst the top in the global list of highest paid actors worldwide, beating big names like Brad Pitt, Dwayne The Rock Johnson and even Johnny Depp. Kumar also owns a team in the World Kabaddi league. As of August 2017, he is the tenth highest paid actor in the world, according to Forbes. For his role in Indian Cinema, he has received a number of awards and recognition. He has been nominated a number of times for the Filmfare Awards of which he has won two. The Government of India also acknowledged his contribution to the industry with the Padma Shri in 2009, one year after the University of Windsor honored him with the Honorary Doctorate of Law. He has received many more awards and recognition throughout his career. Akshay Kumar property includes a magnificent house at Juhu beach. He bought an old bungalow which was need of repairs. Twinkle Khanna designed all the interior spaces and they transformed the bungalow into a rich and amazing home. For his enviable wealth which has gotten him into lists at Forbes magazine, Akshay Kumar property includes a fleet of some of the most sought after, luxurious vehicles in the world. Mercedes, Bentley, Honda CRV and Porsche are said to be some of the automobiles in Akshay’s garage! He is also said to be a lover of motorcycles owning a couple of big brands there as well. Akshay Kumar’s money can get him any car he desires, although it seems he fancies his gray Porsche Cayenne the best. As of 2018 his family life is also not boring. Kumar is married to one very lucky lady called Twinkle Khanna with whom he shares two children; a boy and a little girl. He is said to be a protective father who does well in keeping his kids away from the public limelight that marks the common feature of his career. Akshay is also known to be a very fit actor who engages in kickboxing and swimming among other sports to keep fit. It remains to be seen what the future holds for this highly motivated actor who has had Hollywood’s Al Pacino admire one of his movie portrayals of a gangster! Shah Rukh Khan is the world’s richest film actor with a net worth of over 600 million dollars. Forbes has called him the world’s biggest movie star and Newsweek has called him one of the 50 most powerful people in the world. His success is magical but that does not mean that we cannot rule our domains as well with the same flair that he does.